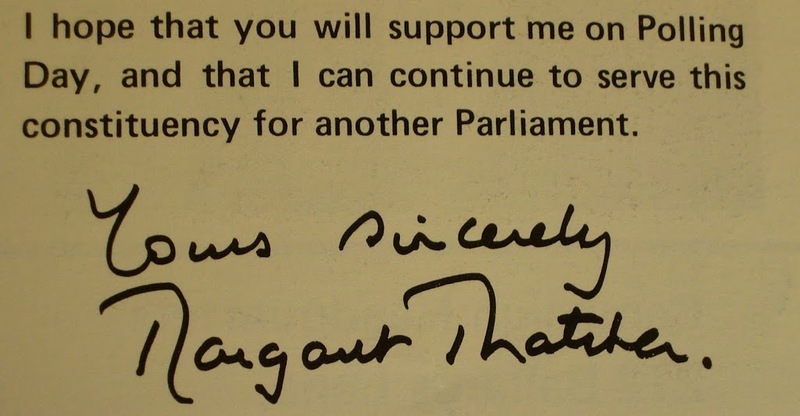 On 9 June 1983, just after 11pm, Margaret Thatcher left 10 Downing Street for her constituency in Finchley. She remarked, ‘We think this will be our home for the next five years’ (The Times, 10 June 1983). It was indeed; Thatcher and the Conservative Party won a landslide victory – the most decisive election victory since 1945. Thatcher’s popularity had waned during her first two years in office; unemployment had risen to pre-WWII levels and inflation persisted. Victory in the Falklands, however, gave the Conservatives a decisive jump in the polls, as did Labour’s internal divisions and a Labour manifesto dubbed ‘the longest suicide note in history’ by Labour MP Gerald Kaufman. 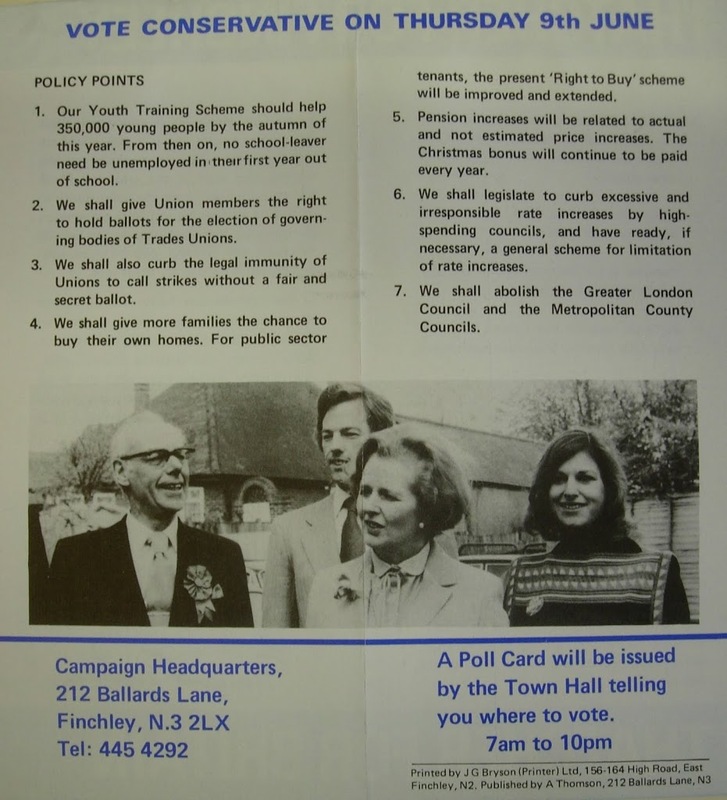 The Party’s manifesto laid out a slightly more radical programme of reforms, including abolishing the Greater London council and the Metropolitan County Councils and privatising certain key British corporations. The Party won a third election in 1987, and Thatcher remained in office as Prime Minister until 1990.